Jintae Lee has completed his PhD from Rutgers University and Post-doctoral studies from Texas A&M University, USA. He is an Associate Professor at Yeungnam University, Korea. He has published more than 100 papers (more than 3800 Google citations) in peer-reviewed journals. His research interests are in the areas of bacterial biofilms, quorum sensing, host-microbe interactions and nanobiotechnology. A number of bacteria and some plants produce large quantities of indole, which is widespread in animal intestinal tracts and in the rhizosphere. Although it has been known for over a hundred years that many bacteria produce indole, the real biological roles of this molecule are only now beginning to be unveiled. Recently, indole is considered as a signaling molecule and controls diverse aspects of bacterial physiology, such as plasmid stability, antibiotic resistance, spore formation, biofilm formation, and virulence in indole-producing bacteria as well as in non-indole-producing bacteria. Moreover, indole derivatives are naturally abundant in bacteria, plants and animals. Indole and its derivatives are viewed as potential antivirulence compounds against antibiotic-resistant pathogens because of their ability to inhibit biofilm formation, quorum sensing, and virulence factor production. Furthermore, indole modulates oxidative stress, intestinal inflammation and hormone secretion in animals and controls plant defense systems and growth. Insects and nematodes can recognize indole, which controls their behaviors such as chemotaxis, egg-laying behavior and the survival. This presentation covers current knowledge regarding indole and its derivatives and their biotechnological applications and their role in prokaryotic and eukaryotic systems. Mahasin Wadi completed the PhD from AL Neelain University , Medical Microbiology. Faculty of Medical Laboratory Sciences 2010 Khratoum Sudan. MSc. University of Khartoum, Sudan. Medical Microbiology & Pharmacology 1987. She joined work at Dar ALUloom University, College of Medicine, Riyadh , Saudi Arabia August 2014, She Worked at the central research laboratory Khartoum , Sudan. She joined work at King Saud University, Saudi Arabia, Riyadh 1988, Department of Clinical Laboratory Science, and Medical Microbiology. She worked in the area of Bee Honey as a natural antimicrobial product. She published a numbers of papers in reputed journals and Participated in many Internationals and national conferences. She issued a patent research about the antimicrobial activity of Sudanese bee honey. She attended many workshops and seminars. Awarded certificate of prestigious Author for the journal of Bacteriology &Parasitology 2011. Awarded a medal on participating in workshop at King Saud University Saudi Arabia 2011. Awarded many appreciation and thanks certificate in scientific activities. Member of many international associations: German Apitherapy Society, American Apitherapy Society, International Bee Research Association, European Society of Clinical Microbiology and Infectious Disease ESCMID and Sudanese Veterinary Association. She served as reviewer of various journals. Objective: The aim of the current prospective study is to evaluate the effect of topical application of honey to chronic non healed infected wound with necrotic tissue. Methods: A 45 years old female was admitted to Khartoum North Teaching Hospital with open fracture of the distal tibia and fibula of the right lower limb with infected ulcerated wound. Swabs were taken for isolation, identification and viable count of the causative organisms. Primary care of the wound was done and dressing with MEBO ointment was used. Split skin graft and flap was performed. Topical application of honey was used instead of MEBO ointment. Results: The isolated organism was identified as Staphylococcus aureus. Topical application of honey resulted in clean healthy granulation tissue after two weeks of treatment. Wound was reduced in size with healthy granulation tissue, and complete healing with prompt graft taking was obtained after 6 weeks of honey treatment. Conclusion: Honey accelerates wound healing with promotion of healthy granulation tissue in short period. Honey exerted strong antibacterial activity against infected organism, and helped skin graft taking. Our study established the safety, efficacy and feasibility of topical application honey to promote healing of chronic non healed wound. Charlene Kahler has completed her PhD studies from the University of Queensland and Post-doctoral studies from Emory University and Monash University. She is currently the Deputy Director of the Marshall Center of Infectious Disease at the University of Western Australia. She is an expert in meningococcal and gonococcal diseases, and has published over 40 research papers in these fields. Neisseria meningitidis causes transmissible sepsis and meningitis. Whole genome sequencing (WGS) has identified approximately 11 genetic lineages or clonal complexes of invasive meningococci and numerous separate lineages of non-pathogenic meningococci. 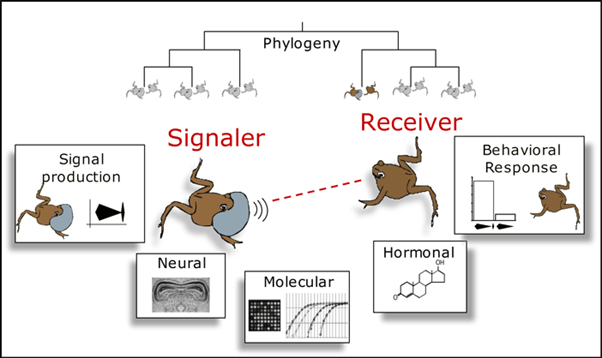 Each clonal complex is predominated by a serogroup, A, B, C, Y, W and X, although serogroup switching can occur. In recent years, serogroup switching in clonal complex 11 (cc11) from C to W has resulted in strains causing widespread outbreaks around the world. Preventative vaccines are available for A, C, Y, and W serogroups. A serogroup B vaccine, Bexsero®, was developed based on four antigens: Factor H binding protein (fHbp), Neisserial Heparin Binding Antigen (NHBA), Neisseria adhesin A (NadA) and porin A (PorA). WGS has been used successfully to approximate the vaccine coverage of Bexsero® in various jurisdictions which ranges from 66-91%. WGS was used to examine the history of meningococcal disease in Western Australia since 2000 and the potential for Bexsero® vaccine introduction. From 2000-2006, this region had a serogroup B outbreak caused by cc41/44, which has since declined without intervention to national levels. Until 2015, fluctuations in the presence and prevalence of clonal complexes led to an average Bexsero® coverage of 61% (annual range: 33-78%). However, in 2016, 75% of all disease cases in Western Australia were caused by serogroup W cc11 involving two outbreaks necessitating community vaccinations with the quadrivalent A/C/Y/W vaccine. Surveillance using WGS has identified outbreaks of cc11 caused by similar strains in local regions suggesting that there are smaller regional circulation patterns of disease in local communities.